You’d normally think that apple cider vinegar was that ingredient you used in certain dishes. 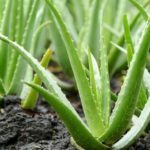 But did you know that some people use it for health purposes – weight loss, lowering cholesterol levels, and decreasing blood sugar levels? Apple cider vinegar to been proven time and time again to be almost a cure for every ailment. But some don’t want to choke down the liquid vinegar. 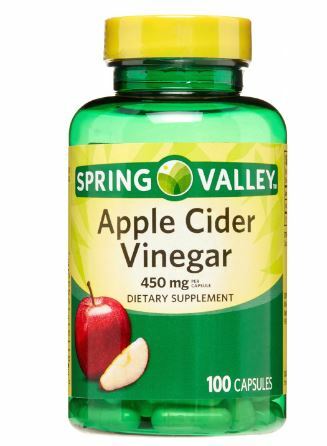 Enter Spring Valley apple cider vinegar pills. Since not everyone finds the idea of swallowing liquid vinegar, there is an option to take apple cider vinegar pills instead. Does it provide the same benefits? Are there any drawbacks? Apple cider vinegar is popular in the natural health community thanks to its many benefits, some of which are backed by science. But where does it come from? The answer lies in its name: apples. Specifically, fermented apples. It is made by crushing apples to extract the liquid. That liquid is combined with yeast to kickstart the alcoholic fermentation process. Bacteria is then added to the resulting mixture, leading to further alcohol fermentation until such a time it turns into acetic acid, which is the main component of vinegar. Apple cider vinegar has been used as a remedy for centuries. Today, it is mostly used in the making of marinades, salad dressings, and vinaigrettes. Since the 1970s, it has been promoted as being helpful for losing weight. 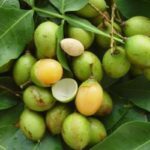 It has also been used in lowering blood sugar levels and decreasing cholesterol. What is it about apple cider vinegar that has made it a go-to cure for centuries? It kills harmful bacteria. Apple cider vinegar has a long history of being used as a disinfectant. How long? Hippocrates, the father of modern medicine, is said to have used it to clean wounds. In addition, apple cider vinegar is used as a food preservative thanks to its bacteria-inhibiting property. Some have even used it to treat acne, but the research on this isn’t strong enough. It decreases blood sugar levels. A study has shown that apple cider vinegar intake improved insulin sensitivity when a meal high in carbohydrates was consumed. Other studies have shown that it can also decrease blood sugar levels and improve insulin function after meals. 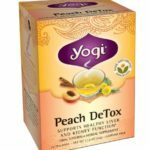 As such, apple cider vinegar is seen as useful for those who have pre-diabetes and diabetes, as well as those who want to keep their blood sugar levels low. That said, you should check with your doctor about taking apple cider vinegar if you are already on medication that lowers blood sugar. It helps with weight loss. Some studies have shown that consuming apple cider vinegar increases satiety, which leads to fewer calorie consumption and later on, the shedding of some pounds. A study also showed that daily intake resulted in not only weight loss but also reduced belly fat. However, the overall impact of vinegar consumption can’t be determined in full because the study only ran for three months. In other words, if you plan on taking apple cider vinegar, do make sure to supplement it with something else, like exercise. Keep in mind that just because some studies proved it, that doesn’t mean it can be considered an absolute fact. It decreases cholesterol. A word of warning here: most of the studies done to test this hypothesis were performed on animals. Those studies indicated that apple cider vinegar can decrease cholesterol and triglyceride levels. Studies that used rats as subjects saw a reduction in blood pressure, which is a risk factor for problems with the heart and kidney. That said, the one study that used humans as subjects was an observational study that looked at women whose salad dressings had vinegar in them. The results of that study showed a reduced risk for heart disease. Although the studies produced results that you want to hear, there’s still so much more to be done to ensure concrete evidence. Nothing is conclusive yet when it comes to the health benefits of apple cider vinegar consumption. 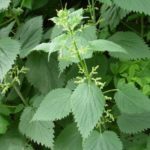 Yes, it has been used as a folk remedy for thousands of years, but until there is hard evidence of its benefits, it’s always best to proceed with caution. Cooking is one of the best ways to get apple cider vinegar into your diet. It usually makes up part of the ingredients for salad dressings and homemade mayonnaise. Some people actually choose the medium of drink to get apple cider vinegar into their diet. They mix about one to two teaspoons in a large glass of water, and they do this on a daily basis. Apple cider vinegar can be purchased from your local grocery store. 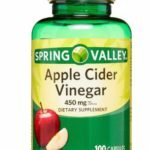 Now that you’ve learned enough of apple cider vinegar, it’s time to take a look at it in pill form, specifically the ones that Spring Valley makes. How different is it from the one that comes in a bottle in liquid form? 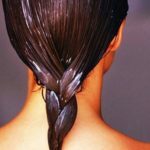 Does it have more benefits than its liquid counterpart? The amount of apple cider vinegar contained in a pill varies per brand. That said, it usually comes in a 450mg – 500mg capsule. Certain brands also throw in extra ingredients, like cayenne pepper for assistance with metabolism. Spring Valley will do the same. But our favorite is just the straight apple cider vinegar pills. 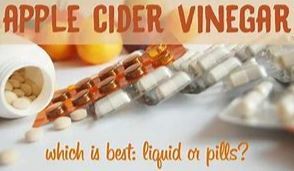 Although there has been research conducted into the uses and benefits of apple cider vinegar, not much has been done on it as a pill. 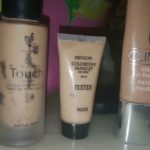 Some would also associate the benefits seen with the liquid version with the capsule. This is rather dangerous since more studies still need to be done to show whether or not they can offer the same benefits. It’s always best to ask your doctor about taking the pills. Or, you can stick to adding apple cider vinegar into salad dressings or vinaigrettes for incorporation into your diet. That way, it’s much safer. Since the studies on the benefits of apple cider vinegar pills are few, it’s difficult to determine its actual side effects. However, there are studies that have been conducted on the liquid variant. Looking at those might give clues, but just not conclusive ones. The consumption of apple cider vinegar can lead to the following negative side effects: indigestion, low potassium, and throat irritation. The acidity of the vinegar is usually blamed for the appearance of these effects. As such, it’s not such a good idea to always consume it since can upset the acid-base balance of your body. Another negative effect of consuming apple cider vinegar: erosion of tooth enamel. This is according to a couple of studies, but further proof may be needed. Then again, you must always remember that teeth are valuable and you need them, so you need to take it easy when it comes to consuming vinegar. These side effects will be true no matter the brand if you drinking your vinegar. Since there hasn’t been widespread studies done on the effects of apple cider vinegar, it is safe to say that there is no medical opinion on standard dosage. Some might argue that taking one to two tablespoons vinegar diluted in water is safe and provides health benefits, but it’s still better to be cautious. 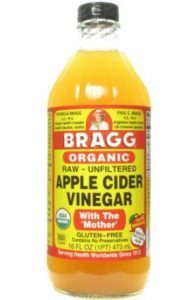 As mentioned, it’s still much safer to include apple cider vinegar into food rather than diluting them in water or taking them in pill form. Until studies agree regarding the benefits of vinegar consumption, it’s wise to stay on the side of caution. Yes, apple cider vinegar is a natural product. It has been used for thousands of years, but that was as a folk remedy, not as medicine. Many studies have shown the benefits of apple cider vinegar. But that doesn’t mean it will cure everything. Another important thing to keep in mind: the FDA doesn’t regulate supplements so you really have to be wary about the actual amount of vinegar a brand says their pills contain. 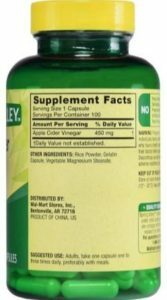 Case in point: a study found inconsistencies and inaccuracies in the labels of eight brands of apple cider vinegar pills. Apple cider vinegar is known in the natural health circuit. It has been cited as being of help when it comes to weight loos, lowering blood sugar, and decreasing cholesterol levels. Anyone who has ever tried consuming vinegar – even out of curiosity – in its liquid form will know just how strong it is, both in taste and smell. Given the many benefits it touts, it’s no wonder then why some would rather choose to consume them in the form of a capsule. We like Spring Valley apple cider vinegar pills because they don’t give you those nasty vinegar burps or cause indigestion. At this point, several studies have been done on the benefits of apple cider vinegar but none have provided sufficient evidence to declare it medically safe to use for lowering cholesterol, decreasing blood sugar levels, and losing weight. 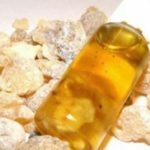 Since only few studies have been done on apple cider vinegar in pill form, it is safe to say that it evidence is still murky regarding how safe and effective they are. Plus, the fact that the FDA doesn’t regulate supplements should be a concern too. So what should you do if you don’t want to consume apple cider vinegar? You can stick to making dishes with it.